"This being my first IBE event I did not know what to expect, but it did exceed expectation as compared to other in-depth trainings I’ve attended. ... I absolutely would recommend the HK software team!" "I wanted to thank you for the past 2 days training. It was been a pleasure meeting you and really really educational training. It was a lot of material covered and I look forward we can work together soon." "...very informative. Customer projects that I have implemented ... can now be extended and optimized even further on the basis of the newly acquired knowledge. "... I can develop much faster in the database and integrate these improvements in customer projects and also in our ERP software. "Holger Klemt also constantly offers tips, advice and guidance .. so that you can avoid a variety of "beginner mistakes" from the outset, which would otherwise make life very difficult later. "PS: This was by far the best workshop I've ever participated in!" "
The Firebird 3 Bootcamp is for admins and developers who have been actively working with Firebird for at least 2 years. The focus is on upgrading to Firebird 3 and optimization of your own database environment (also for Firebird 2.x). 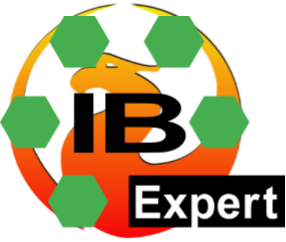 You can expect interesting talks covering all aspects of Firebird, IBExpert, Lazarus and Delphi development. The focus is on the practical application of the technologies and methods presented, which can also be implemented with other programming languages. If you're interested in an English-language course, please take a look at our IBExpert Firebird Bootcamp as corporate training). Please mail contact@ibexpert.com (US Bootcamps) or sales@ibexpert.biz (German and Malta Bootcamps) for our written quotation. All prices subject to the VAT/sales tax rates and regulations in the country where the event is taking place.